I am sorry that you didn’t get a newsletter last week. I really missed the school whilst I was ill and away on the Headteacher’s conference. Thank you for all your concern and kind wishes. 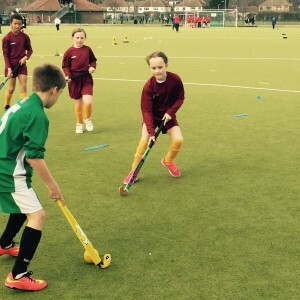 A group of year 5 pupils took part in a ‘Quick Sticks’ hockey tournament at Coopers Coburn school this week. 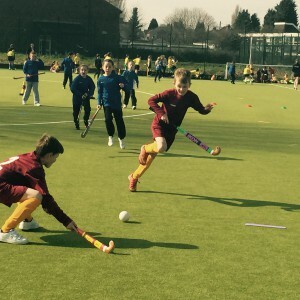 They played very well, were excellently behaved and won a match. Well done- we are very proud of you. Our new suppliers ‘Red Oak Roller’ have sent us some samples of our school uniform. Please come and ask to look at the samples if you would like to see them before you buy. It is important that the jumpers are washed inside out and without fabric conditioner if they are to last a long time. 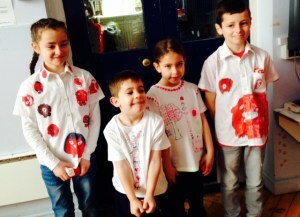 Thank you to all of you who have supported ‘Red Nose Day’, the Friends of Dame Tipping plant sale and our Lent games. Lent games will continue next week, so please send your spare change in with your children. All money from the Lent games goes to our sponsored child in The Gambia. Please drop in and see the school nurse on Wednesday morning from 8.30 am if you would like to ask for advice on anything concerning your child’s health and well-being. We talked in assembly about the ‘underwear rule’ this week. Please ask your child about this and visit the NSPCC website (‘PANTS’) for more information about how to teach your children to keep themselves safe. Mr Botha, who taught Reception at our school, is visiting to read some of the books he has written to Class 3 next Thursday at 2pm. He will be in the classroom at 3pm to sign his books, should any parents wish to purchase any. Thank you to all the year 5 and 6 parents who have paid their balance for Stubbers. Don’t forget that you have until the end of April to pay. Congratulations to Aimee Bradley, Madison Taylor and Alfie Colton who achieved Gold certificates for excellent classroom work and behaviour this week. For last week: Taylor Moss, Maansi Chagger, Jack Webb, Michelle Onifade, Nicole Mahoney, Lou-Lou French, Lexi Webb, Charlotte Woods. For this week:Oliver Mahoney, Elijah Oyetunde, Maisie Randell, Milo Shorter, Alfie Colton, Bradley Allen-Guinane, Aaliyah Bimpong, Kai Davis, Elena Marshall, Chinaza Osaji-Okai, Hermione McCormack, Zachary Teshola. Congratulations to Fibian McKenzie and Bradley Allen-Guinane who were awarded their pen licences for consistently neat, cursive writing. This week’s award goes to Scarlett Kedadi of class 1 for her contribution to the school and for living up to our school motto. Well done to classes 1, 2 and 3, who all exceeded our target of 96%. This is fantastic. Let’s keep it up!